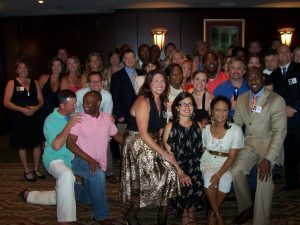 Register for our 30-Year Reunion Now! Save the date! Our Class Officers along with the Reunion Committee have planned a fantastic reunion weekend for February 9th-11th! Get the agenda & fees here, and click below to register online right now. Hard to believe it’s been 30 years since we strolled the halls of Sol C. Johnson High. 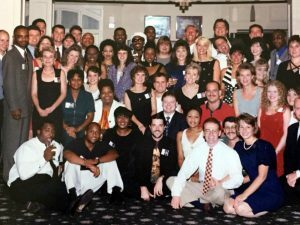 To commemorate this occasion, the reunion committee has planned a 30th year reunion to be held on Friday, February 9, 2018 thru Sunday, February 11, 2017. We hope you will join us for three days of fun-filled activities and the change to reconnect with classmates. The registration deadline is February 7, 2018! The reunion committee has worked very hard to plan this celebration. It only can be a success with the participation of everyone. We trust that each of you will not only participate but encourage others to participate. Let’s make our 30-year festivities even more successful than our 20-year reunion. Previous emails have provided a list of “missing” classmates. If you have contact information for any of these classmates, please forward it to Debbie at Debbie@robojig.com. We look forward to seeing you and thank you for your support. REGISTER NOW – Deadline is February 2, 2018. Contact us to volunteer your services ASAP and thank you!